Miles pictured about two years of age. He is a multiple BOB winner. 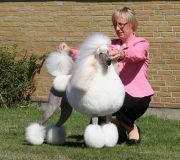 Miles pictured with his breeder Kirsten Nielsen, after winning BIS-2 at a danish Poodle speciality. Miles elegant sire, Thomas is one of the top winning standards in the US 2011. 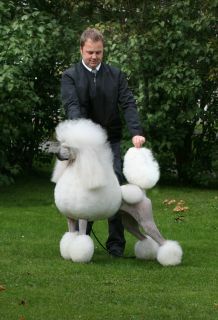 He is a multiple Group and All Breed BIS winner in several countries. 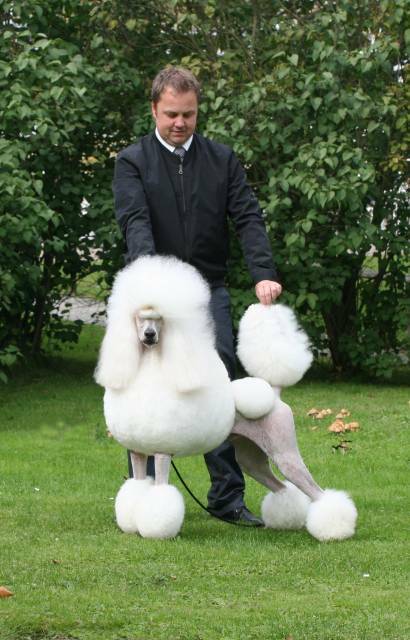 Before going back to his succesful american career he won Group-2 at the World Show in Herning after BIS winning toy poodle.